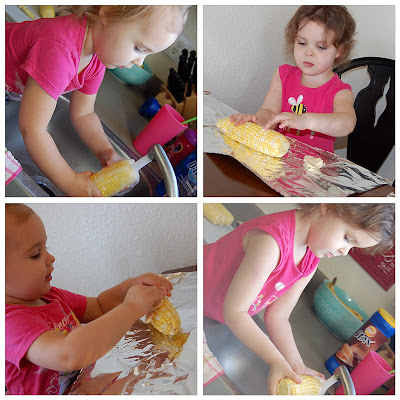 Mom of My Dreams: Shucking Corn! We had the best family dinner ever last night! We let the girls shuck corn, rinse it, butter it, wrap it, then of course EAT IT! 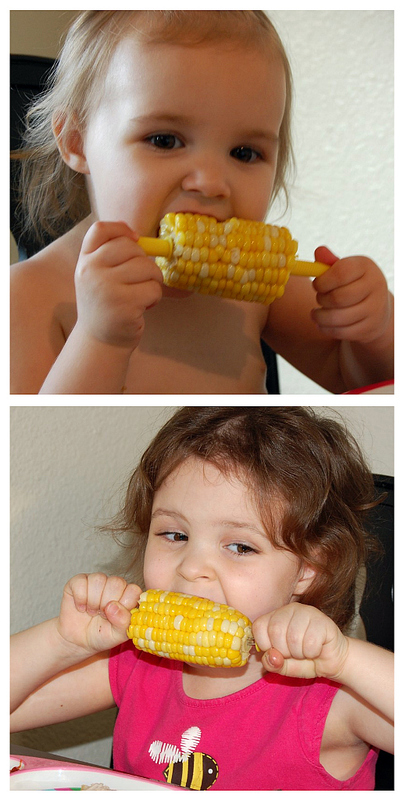 They were SO excited when they found the corn! It was so much fun and tasted great! We want to do something like this with them every week.